For many people around the world, the mobile phone will be the only means of accessing the internet. According to Ericsson's (NASDAQ: ERIC) second Traffic and Market Report - On the Pulse of the Networked Society, released today, 85 percent of the world's population will have internet coverage via 3G by 2017 and there will be close to nine billion mobile subscriptions, compared to six billion by the end of 2011. Machine-to-machine subscriptions will add to this figure. Douglas Gilstrap, Senior Vice President and head of Strategy, Ericsson says: "Today, people see access to the internet as a prerequisite for any device. This mindset results in growing demand for mobile broadband and increased data traffic. Operators recognize this business opportunity and are aiming to facilitate this growth and provide good user experience with fast data speeds through high capacity networks. Today, around 75% of the HSPA networks worldwide have been upgraded to a peak speed of 7.2 Mbps or above and around 40% has been upgraded to 21 Mbps." 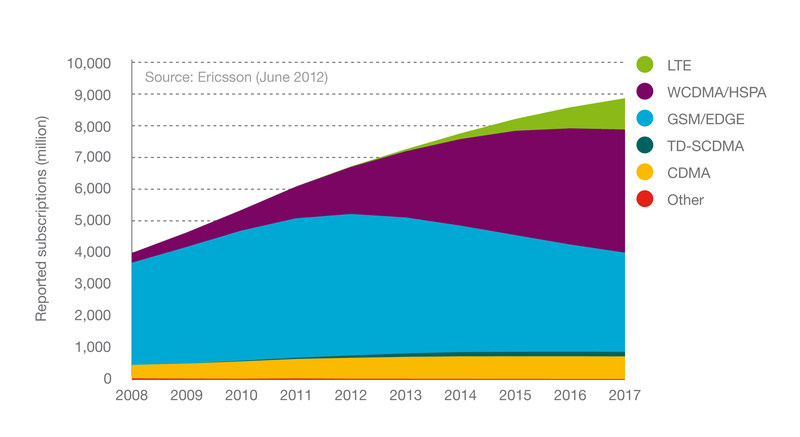 In the report, Ericsson also predicts that by 2017 half of the world's population will be covered by LTE/4G networks. 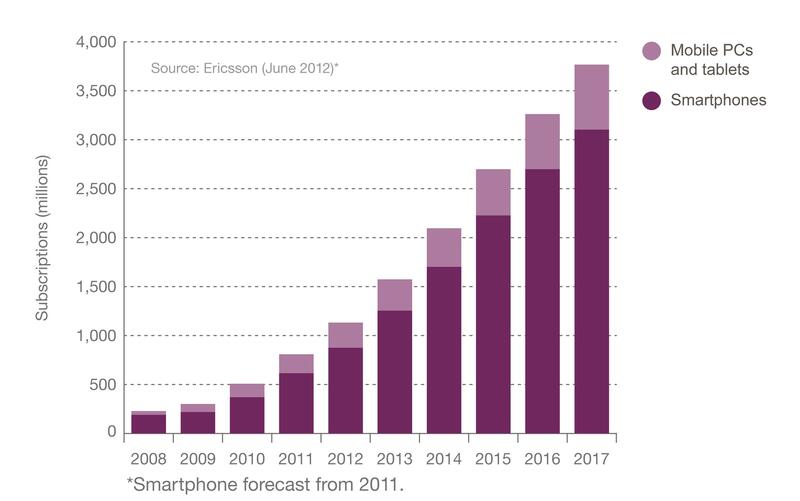 Smartphone subscriptions will number around three billion in 2017 - compared to 700 million in 2011. 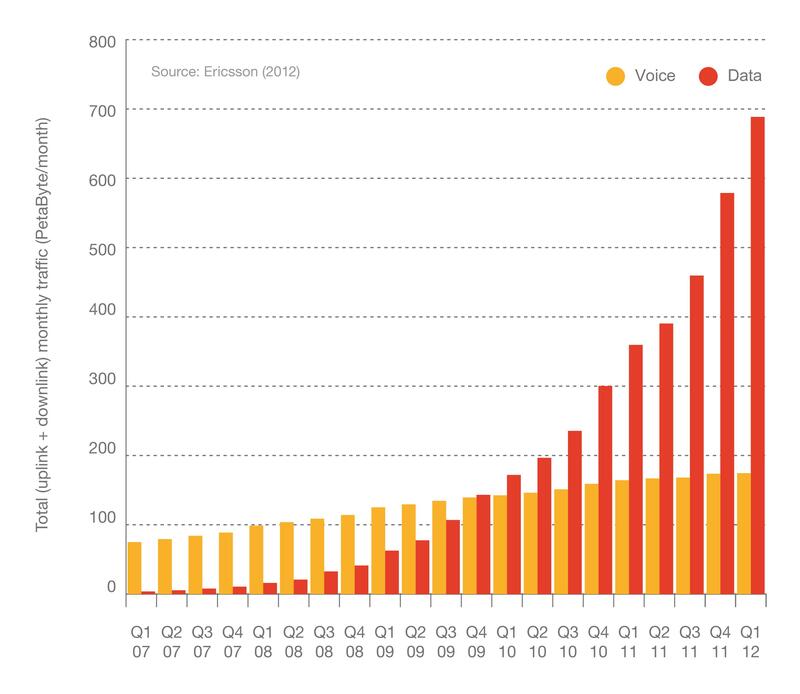 Total mobile data traffic continues to increase - between Q1 2011 and Q1 2012 data traffic doubled - and the prime driver is video. Smartphones are also, and will remain, a key data traffic driver. 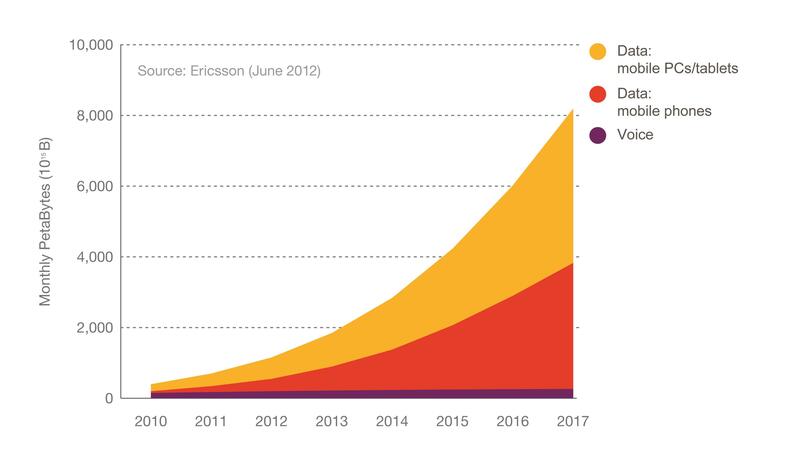 The mobile data traffic will grow by 15 times between 2011 and 2017. The main continuous trend identified in the report is that everything is going mobile. This evolution is mainly being driven by people's increasing demand for anywhere, anytime connectivity and the use of video, cloud-based services and the internet - but also by machine-to-machine connectivity. 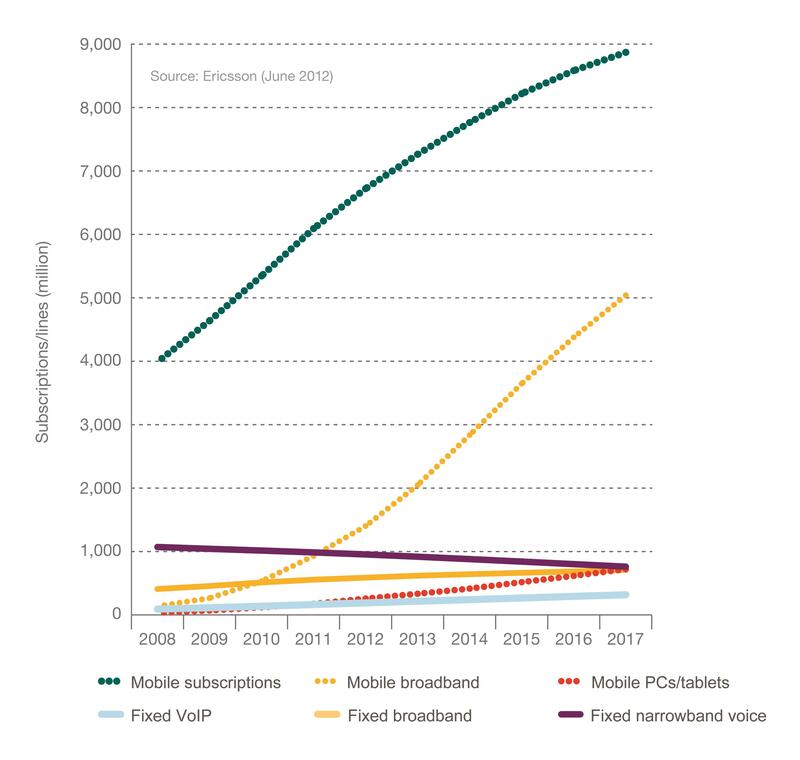 Ericsson has performed measurements since the early days of mobile broadband from a large base of live networks covering all regions of the world. 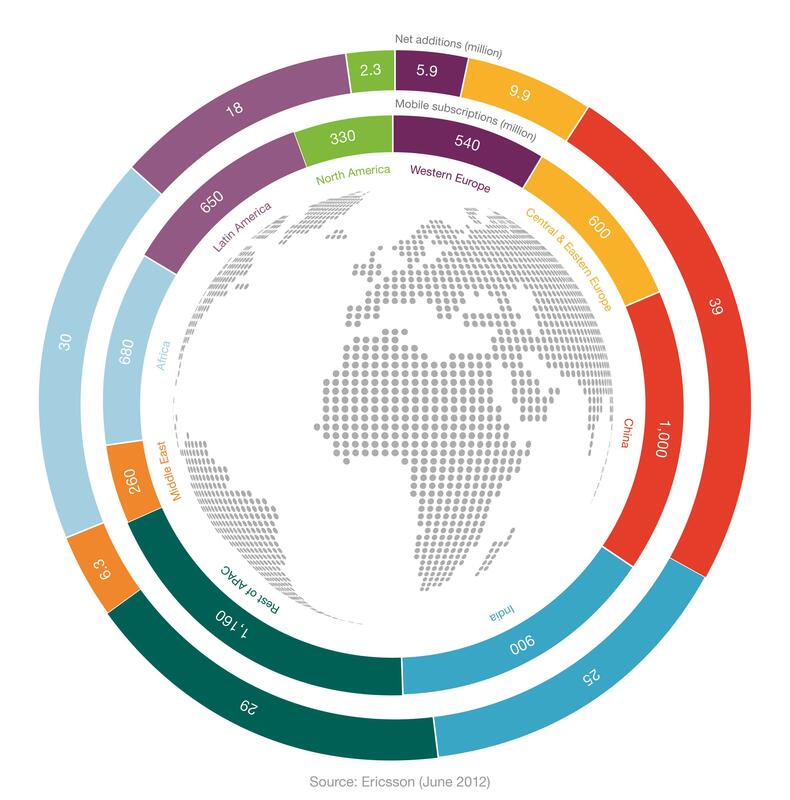 The aim of this report is to share analysis based on these measurements, internal forecasts and other relevant studies to provide insights into the current traffic and market trends. We will continue to share traffic and market data, along with our analysis, on a regular basis. Press briefings will be held in San Francisco, June 5, London, June 6 and at Ericsson Headquarters in Stockholm on June 7. If you interested in attending, please contact media.relations@ericsson.com to RSVP and to get information on location and time.